Trainer Mick Price has very high hopes for this Kiwi import, who races in the colours of Rupert Legh, the part-owner of enigmatic sprinter Chautauqua. 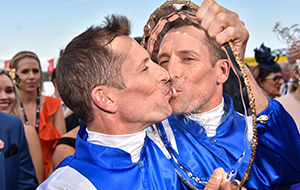 Entered for the Ladbrokes Cox Plate, Grunt could be on a collision course with the world’s highest-rated horse, Winx, at The Valley on October 27. 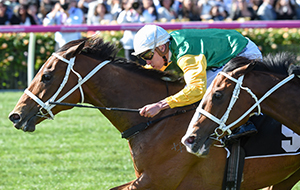 His initial targets include two Flemington features, the Makybe Diva Stakes and Turnbull Stakes.